Hint: It’s TSheets. Click to learn more! In the past, we’ve compared Intuit and TSheets to peanut butter and chocolate, peanut butter and jelly, and even Tom Hanks and Meg Ryan — famous duos that are great on their own but better together. And we stand by those statements. 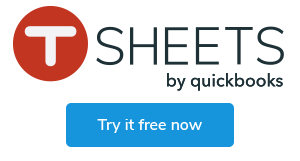 TSheets is the top-rated time tracking software in the world, but we’re even better when paired with the payroll and invoicing power of Intuit QuickBooks. On the flip side, QuickBooks makes running payroll, generating invoices, and billing clients easy. But those tools are even stronger when combined with the accurate-to-the-second time tracking power of TSheets. Together, Intuit and TSheets help business owners everywhere shave hours off their payroll processes and save thousands of dollars each year. But it’s not just a coincidence. It’s always been our mission to help business owners everywhere succeed by eliminating costly time theft, streamlining payroll processes, and putting hard-earned money back in their bottom lines. Being a part of Intuit means we are also out to “power prosperity around the world” by providing business owners big and small with the tools they need to see success. And it goes even deeper than that. Have you heard of THE PBR? Yeah, it’s a beer, but it’s also an acronym for the core values that drive TSheets forward. We live and breathe those core values. We’re passionate about our customers’ success, we innovate and win, and we always require excellence. And we were delighted to find our core values are a lot like Intuit’s. Intuit believes in being bold, passionate, and decisive — in learning fast, winning together, and delivering awesome. So not only are we a match made in payroll heaven, but we’re a match made in company culture heaven too. The TSheets mission remains the same: to help business owners everywhere succeed. The only difference is, now, we’re part of Intuit, and together are dedicated to powering prosperity around the world and “backing those who won’t back down”! With Intuit, you can expect awesome new features (faster than ever! ), an even more seamless and powerful integration between TSheets and QuickBooks, and an improved user experience. In short, the time tracking, payroll, and invoicing software you already love is about to get even better and easier. That’s right, our award-winning customer support team is still here! Whether you need help setting up your TSheets account, solving a time tracking problem, or just want to chat with one of our amazing TSheets reps, our team is ready and waiting to answer your call — day or night, in two minutes or less! Give them a call at 888-836-2720 or chat with them live, right here on our website. We bet they’ll put a smile on your face. We’ve got a whole new line of super soft “TSheets by QuickBooks” shirts hitting our virtual shelves as we speak — and there’s nothing we love more than outfitting our fans with TSheets swag! Keep an eye out for fun new merch coming your way, at events and special occasions. Read the open letter from Matt Rissell.